On Festival days, some people will not add onion or sombu (aniseed) and some other masalas in the dishes. 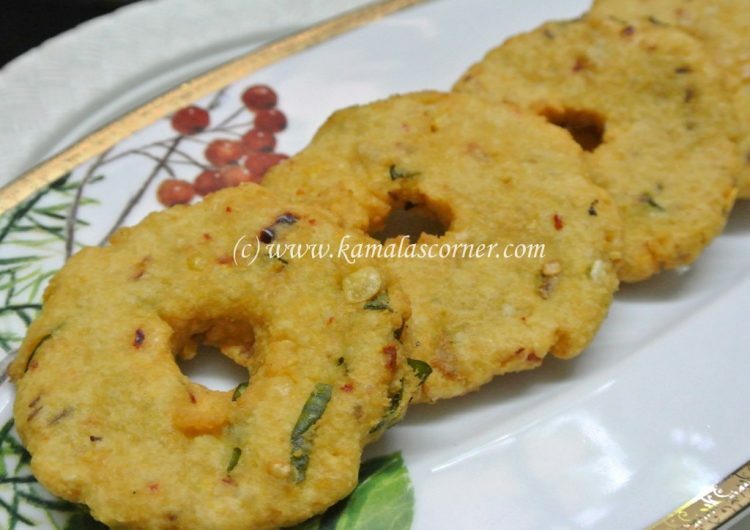 This Vadai is prepared without onion and hence it is called “Festival Vadai”. Soak all the three dhals in water for about 2 hours. Wash and drain the water completely. Put it in a mixie along with red chillies, asafoetida powder and salt. Grind it to a coarse paste. Chop ginger and curry leaves finely. Add it to the dhal paste along with cumin (Jeeragam). Mix well. Heat oil in a kadai. Ensure to keep the stove in medium flame. Take a lemon size dhal paste and flatten it round. Make a whole in the center and put it in the hot oil and fry till it become light brown. I need a recipe with more nutrition value? When you keep the batter in the fridge, it will lose the texture and become hard. Thank you for your imm reply.